A Boeing 737-900ER operated by Lion Air was damaged in a bounced landing accident at Surabaya in Indonesia, according to a preliminary report issued by the National Transportation Safety Committee (NTSC). The airplane, PK-LFH, performed the scheduled domestic service JT-361 from Balikpapan to Surabaya. During the approach the crew received the latest wind information: 270 degrees at 16 knots. They were cleared for landing on runway 28. 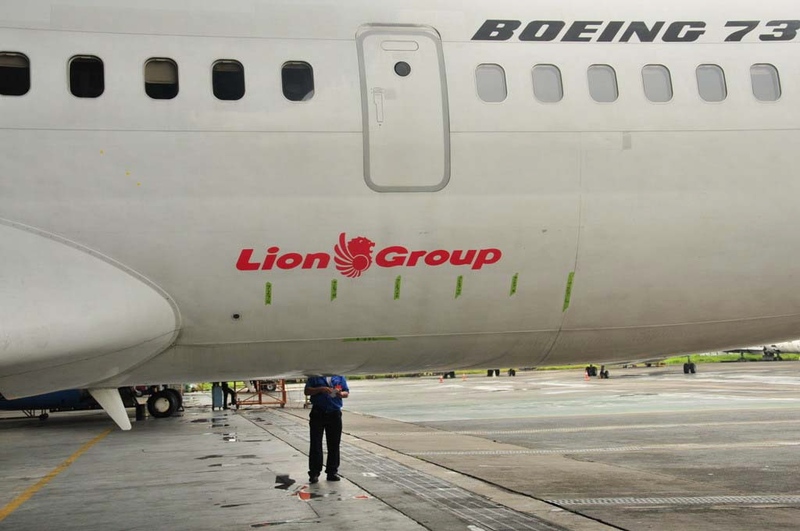 After the first touch down, the aircraft experienced series of four bounces and the aircraft tail skid indicator touched the runway. 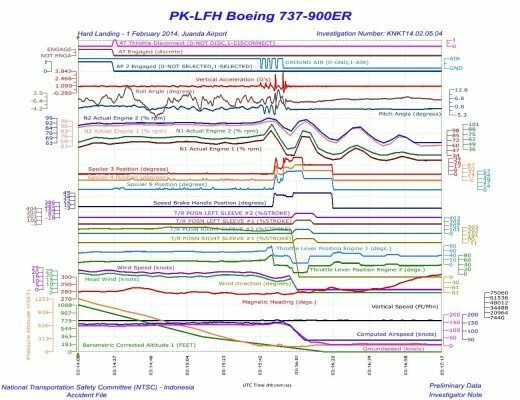 A preliminary Flight Data Recorder readout suggests that the spoilers and speed brakes were deployed during the third bounce. The following touchdown registered a vertical accelleration of over 3G. 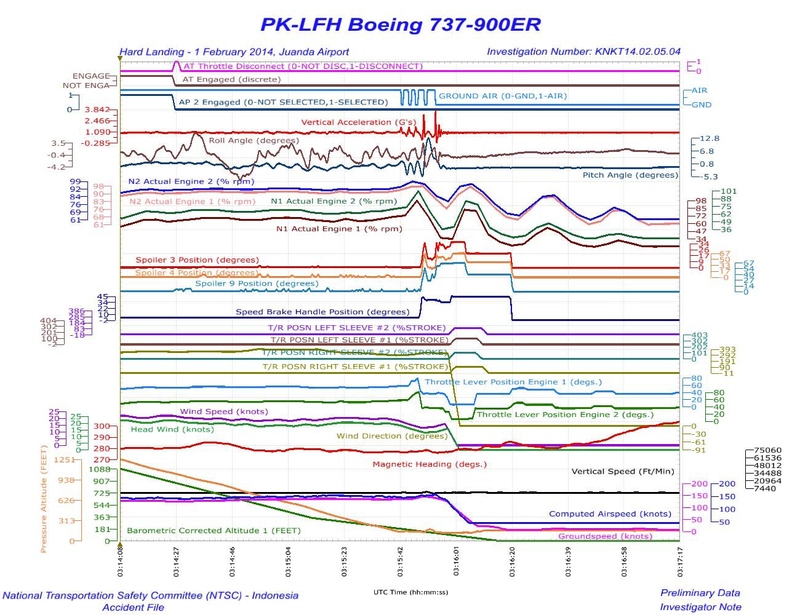 The airplane bounced again and the last touch down resulted in forces of 3.866 G. There were 225 persons on board. Two passengers suffered serious injuries and three passengers suffered minor injuries. An inspection found the nose wheel hub was broken, one main tire flat,tail skid damage, and wrinkling to the rear fuselage section.